All concerts are on Tuesday nights at 8 PM in the Ballroom at the Berkeley City Club and are followed by a reception with the artists. 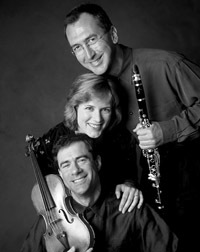 The talented trio (clarinet, violin/viola, piano) returns to enchant. Unique daughter-father duo (violin and piano) dazzles with style. The Bay Area’s rising stars return. Chic and sophisticated entertainment for a good cause! This premier group’s golden sounds will thrill you. We are thrilled to welcome this stunning ensemble back to our series. Audience members will be enthralled by STRATA’s flair for performance as they present Milhaud’s charming Suite, Schumann’s beloved Fairy Tales (Märchenerzählungen), and the eclectic and exciting Triomusic of contemporary American composer Freund. This father-daughter team last played to an enthusiastic audience here a number of years ago – we gladly welcome them back! Come enjoy their sparkling technical brilliance paired with their sense of style and tradition as they present Beethoven’s Sonata Op. 30 No. 2, Prokofiev’s D Major Sonata, and works of Bernstein and Piazzolla. 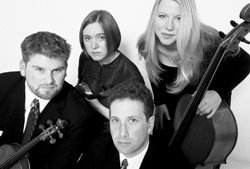 Join us for a repeat performance from the Bay Area’s premier string quartet! In their last appearance with us, Cypress took our breath away with their heart-felt interpretations, and this year’s program featuring Mendelssohn’s Quartet Op. 44, No.1 and short works of Dvorak and Suk promises no less. Berkeley Chamber Performances proudly welcomes back the Baguette Quartette for a very special fundraising event, our first in several years. 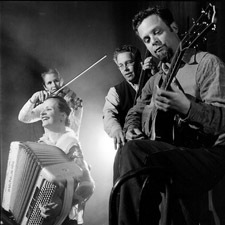 A sold-out, overflow audience enjoyed the charming sophistication of Odile and Co. a number of years ago when they performed for us at short notice. We are extremely excited that these chic and polished purveyors of Parisian Café music from the early part of the 20th century are returning to be featured on our special Parisian-inspired fundraiser event. Audience members will sit at tables furnished with wine, cheese, fruit, and of course, baguettes, as they are stylishly entertained for a good cause. $20 of the price of each ticket is tax deductible. Help support BCP, and have a great time, too! 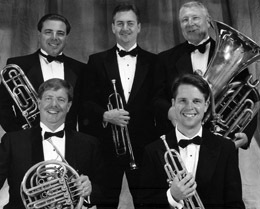 The stirring sounds of a stellar brass quintet will reward audiences who join us for Pacific Brass, in their first appearance with Berkeley Chamber Performances. The varied program includes brass quintets by Victor Ewald and Arthur Frakenpohl along with many other composers, and promises to wind up our Eleventh Season on a high note! 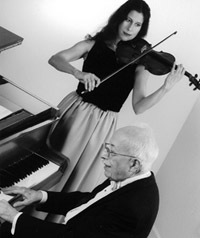 Copyright © 2010 Berkeley Chamber Performances All rights reserved.